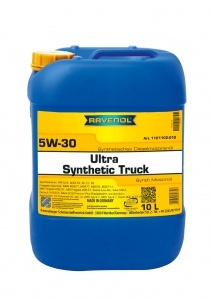 RAVENOL Ultra Synthetic Truck 5W-30 is a top quality fully synthetic fuel economy “Low SAPS” year-round multigrade commercial vehicle diesel engine oil based on the latest additive technology combined with very special base oils. This high-performance low-friction fuel saving lubricant has mainly been developed for heavy diesel engines even under the toughest operation conditions and all the year round. This product is very suitable for EURO 4, EURO 5 and EURO 6 engines especially in combination with diesel fuel with a low sulphur content. 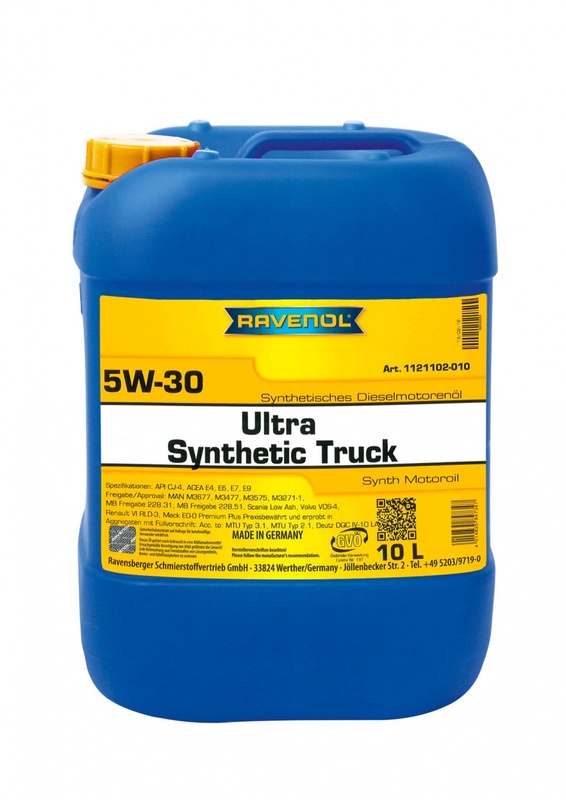 RAVENOL Ultra Synthetic Truck SAE 5W-30 is suitable for application in engines with or without particle filters and exhaust catalysts. Developed for use in extreme climates it ensures reliable cold starting at low ambient temperatures and full lubricity at high operating temperatures. The use of shearstable additives guarantees that the SAE grade 5W-30 is maintained throughout the entire oil change interval.